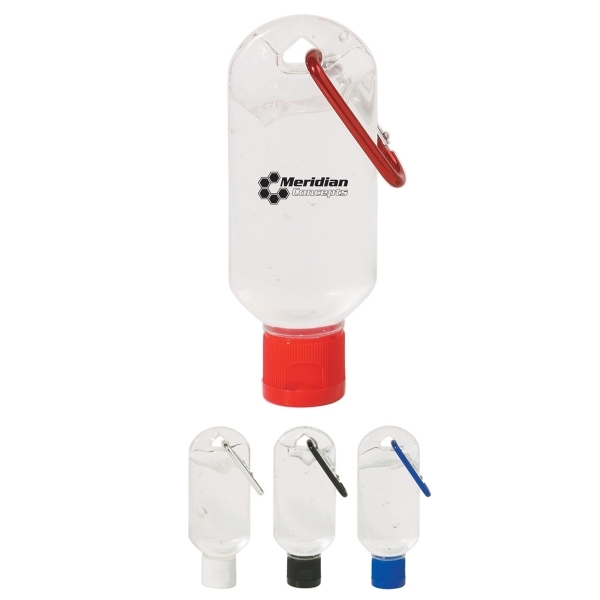 Our 50ml Hand Sanitizer comes with a handy Carabiner clip to attach to a lanyard, backpack, beltloop and more. Truly a Promotional Product that gives back. Your clients will love these clip on Sanitizers and ask for more. Great for Flu Season, at the Office or as a give-away at any large Social gathering.